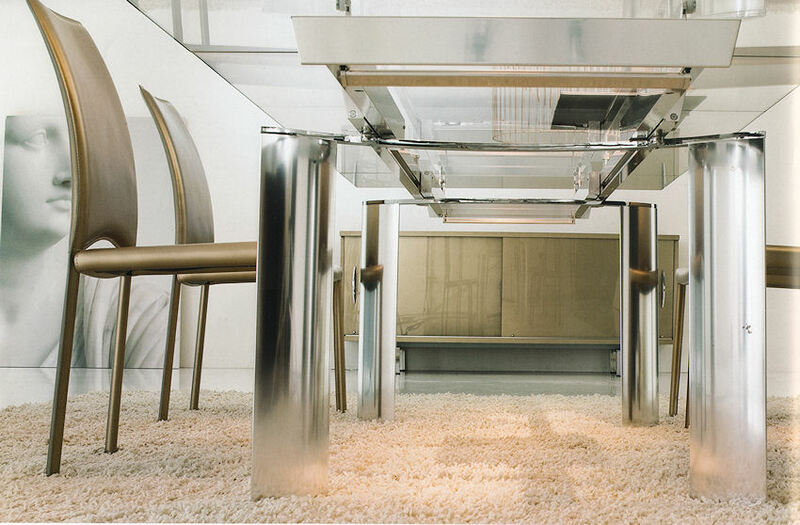 Arcos expandable glass dining table #8050 - Polished aluminium base and guide bar and clear glass top. Shown with #7276 Leather chairs - $ 650 ea. 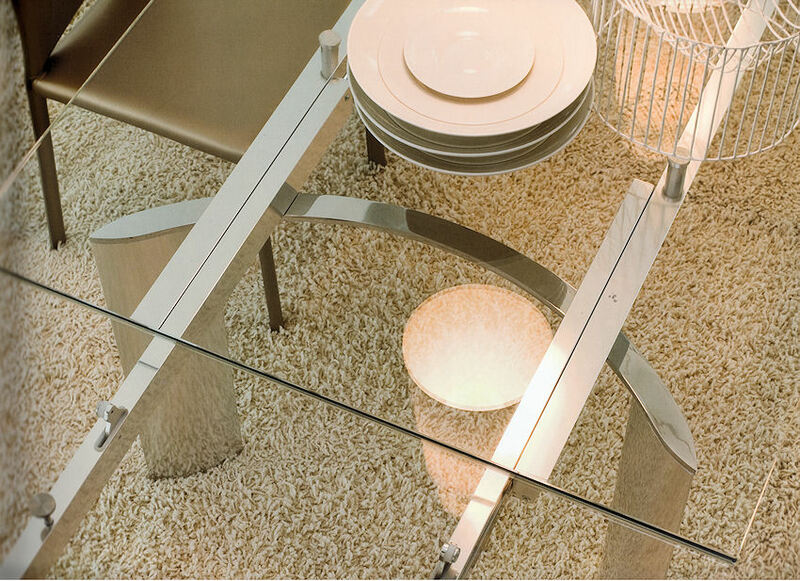 Chair metal structure covered with Italian leather. $ 6,650 - Model G | 78 3/4"- 118 1/8" x 39 3/8" x 29 1/2"H.
$ 650 ea. - #7276 Leather chair. 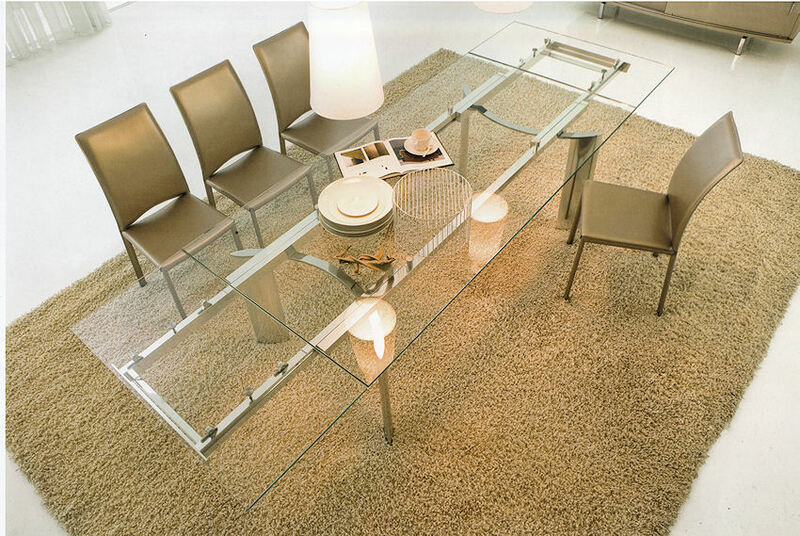 Arcos expandable Italian glass dining table. Request info. 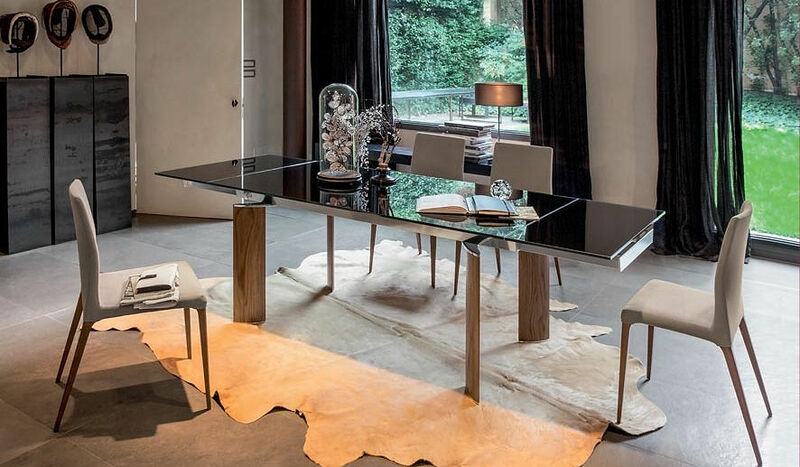 Arcos with black glass top. Request price.